The Summerfield Charitable Trust was established by Ronald Summerfield, a Cheltenham antique dealer, shortly before his death in 1989.
is very pleased to announce that the Queen has appointed Edward William Gillespie OBE DL to succeed her as the Lord-Lieutenant of Gloucestershire on 29 October 2018. Edward Gillespie has lived in Gloucestershire for 38 years and was Managing Director at Cheltenham Racecourse during a period of significant expansion and success. His home is in Gotherington, Tewkesbury Borough and his current activities include chairing the Summerfield Charitable Trust and the Cheltenham Music Festival. Edward will put his own particular and unique stamp on the Lieutenancy and Janet wishes him as much enjoyment in the role as she has experienced. 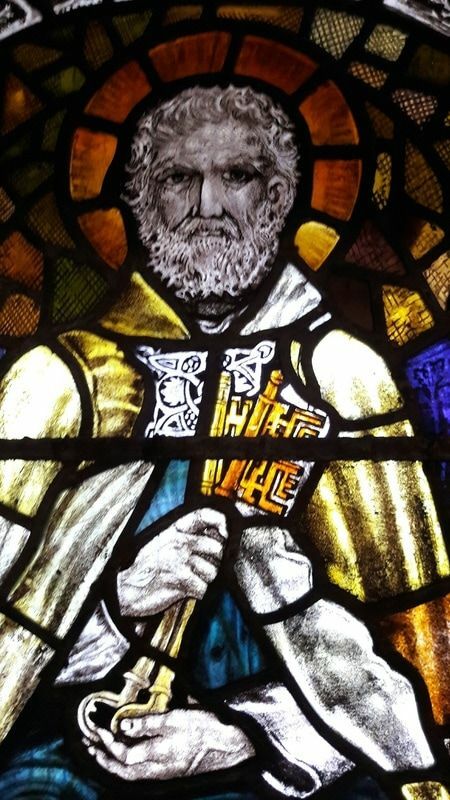 St Peter and his Keys: A new discovery following the cleaning of a stained glass window in the Lady Chapel at Gloucestershire Cathedral. The Queen's Award for Voluntary Service is the highest award given to local volunteer groups across the UK to recognise outstanding work done in their own communities. It was created in 2002 to celebrate the anniversary of The Queen's coronation.